No matter what style of home you have simply by changing the siding can give it a completely new look. For homes that need to be painted changing the color of the paint from lighter to darker or vise versa can also give this dramatic effect. There are many different types of siding used today in Ann Arbor Michigan. The purpose of siding is to make the home look great while protecting it from weather and the elements. I’ve outlined the top siding choices for Ann Arbor residents in this article and I’ll give you some pros and cons of each siding choice. 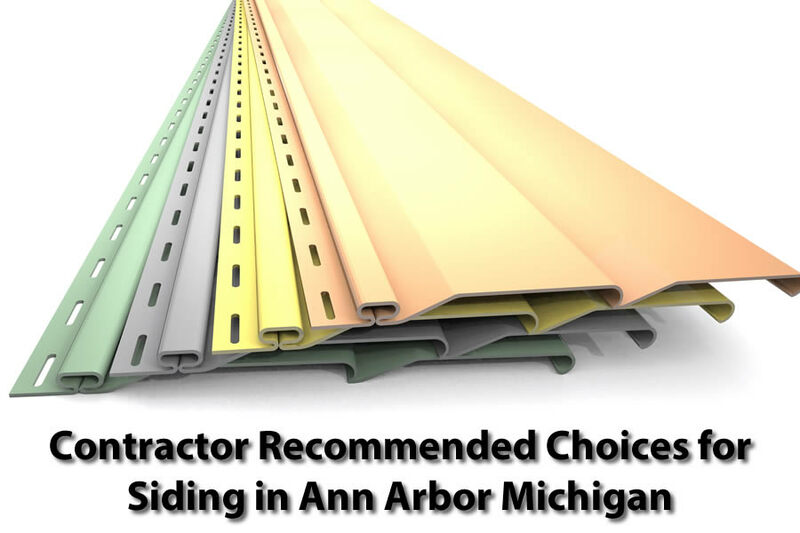 If you’re considering getting new siding installed be sure to talk with a Ann Arbor siding contractor about these siding choices. Just like any other product when it comes to siding there are expensive choices and inexpensive choices. In either of these cases there are also still advantages and disadvantages to each. In order to properly choose the siding for your home you’ll need to consider many things such as whether you’ll be selling the home soon, have kids that may toss a baseball into the siding, and other things. I’ll go over some of the more popular choices for siding in Ann Arbor Michigan below to give you a better idea about each siding choice. Keep in mind there are many siding choices and manufacturers of siding and this list can be much, much longer if all were included. When it comes to protecting your home from the elements and giving it a watertight seal one of the better choices is stone or brick siding. There are lots of choices on the style of each of these and if you don’t want the entire home covered in stone or brick many homes will place this siding on the front and bottom of the home. This is one of the more expensive types of siding and can last a long time. Many people consider brick siding to be more generic type of siding. One of the most popular and also most economical type of siding used in Ann Arbor Michigan today is vinyl siding. Vinyl siding has been around for the past few decades and has become a replacement for aluminum siding which was popular in the 70s. Vinyl siding comes in a variety of colors and designs so getting a unique look for your home can be achieved with this siding choice. Some of the problems with vinyl siding is that it can break easily if struck especially in colder climates. 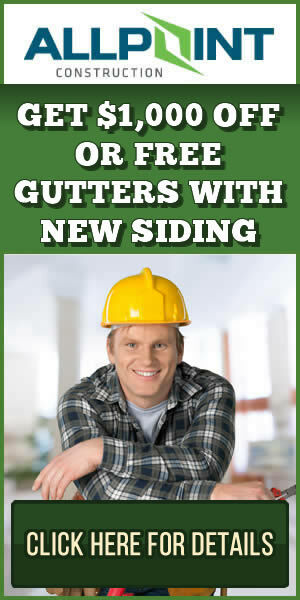 Replacing the siding or repairing problems can be done on the siding if needed. Vinyl siding is one of the more inexpensive types of siding in Ann Arbor Michigan today. Older homes can look great with wooden siding. It gives them a historic and unique look that is hard to beat. There are many types of wood siding you can choose from including wooden shakes or lap siding. There is also flat wood siding such as T111 siding. In any of these siding choices however there is one major problem with wooden siding that many people complain about and that is keeping the siding maintained. Because wooden siding requires much more maintenance then other siding choices many home owners don’t want to use this type of siding. It can look amazing but you’ll need to keep it maintained to keep up that appearance. If you want to have the look of wooden siding without all the maintenance requirements then choosing fiber cement siding is likely your best choice. Fiber cement siding is made to look like wooden siding and last a long time with it’s blend of cement and fibers. Once installed it requires very little maintenance and can last for 50 years on your home. It can even come pre-painted so once it’s installed you’re set. There are different colors and designs you can choose from when getting fiber cement siding on your home. One of the more popular types of fiber cement siding is James Hardie siding which offers warranties on the siding as well. Fiber cement siding can be more expensive than vinyl siding but can resist the weather in Ann Arbor Michigan much better than vinyl siding.